3.1 When Should I Replace My Brake Discs? 5.1 How exactly do brake pads work? 5.2 How many sets of brake pads are on a car? 5.3 What are the major differences between semi-metallic and ceramic brake pads? If you are like most people you probably take very good care of your vehicle. 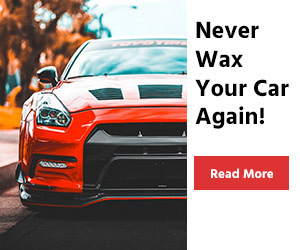 You keep the oil changed, the engine tuned up and your car’s exterior has an amazing shine to it. Not to mention your interior has been kept showroom new. All that won’t matter though if your car will not stop when you go to hit your brakes. Brake pads should be checked on a routine basis and looked at by a professional at even the slightest sign there may be a problem with them. One part that needs to be changed regularly on your vehicle is its brake pads. That is why we have taken the time to write this article to give you more information about the best brake pads and the ceramic brake pad reviews in the marketplace. These are some of the nicer brake pads that we tested. Hawk has made a brake pad that goes nicely as a replacement brake pad on higher performance street cars. They are a pad that is not to provide increased stopping power, yet do it in a way that it does not add a lot of heat to your rotors. These are a semi-metallic brake pad that uses some very advanced compounds in their manufacturing process. They do not perform like normal semi-metallic brake pads do. There were a few things we really liked about these brakes. For one, not only do they give you increased stopping power but they also do it virtually noise free. They are brake pads that are made with what is called a Ferro-Carbon formula; that means these brake pads have some space age technology built into them. One of our concerns about these brake pads is that they are pretty costly for a set of them. They also will not wear rotors down as much but they will weaken them with the higher heat they produce from friction when stopping. These are original equipment grade parts that will go on most GM produced vehicles. They will give you a lot of confidence in your braking system once you have replaced your worn out pads with these. GM also fiercely stands behind the AC Delco auto parts name and guarantees their manufacturing standards and performance. They are made with all premium parts that will help reduce friction and noise. 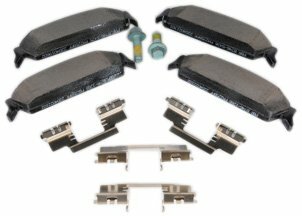 This brake pad kit also comes with premium shims to ensure a proper fit when installing them. These are a set of front brakes. These are semi-metallic brake pads which means they should last you a long time in between replacements. They will also dissipate heat very well. We also like them because they are an OEM part and those types of parts are always manufactured to higher standards. We had some concerns about these brake pads too. It’s true they are a great brake pad but they are also very expensive. You may be able to find a comparable quality brake pad for less money. They will cause a little bit more noise than other types of brake pads too. 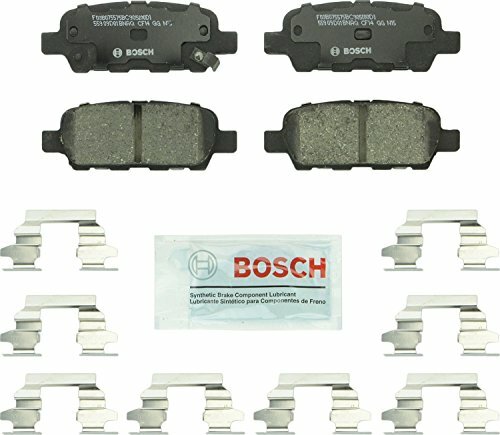 This is a nice set of brake pads that Bosch makes. They are a very reputable manufacturer when it comes to auto parts. Their brake pads and spark plugs are some of the best you will find and these brake pads keep with that tradition. They are a very good pair of ceramic rear brake pads that can be bought at a very affordable price. This is actually a whole kit. Under normal circumstances, this will be everything you need to change your brake pads. Even the shims needed to make adjustments to the pads are included in the package. We really like the price point of these brake pads. It is a very fair price for a good quality set of ceramic pads. They are a pad that has very little noise and vibration when stopping your vehicle. The fact they don’t produce much brake dust is another nice feature of these brake pads. Among the things we did not like about these brake pads is we thought they might be a little thin. These can also be a little hard to adjust when you are installing them too. 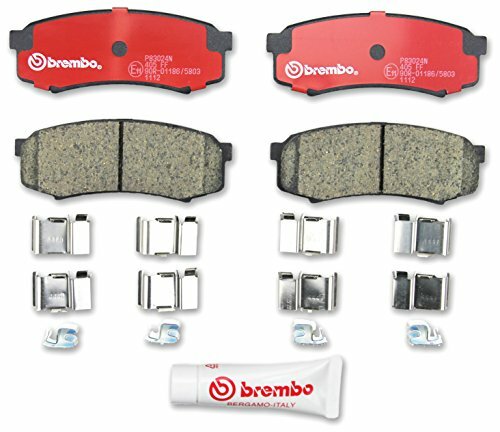 This is a very good quality ceramic brake pad that Brembo makes. It is a pad that will easily outperform most semi-metallic brake pads. They are a very thick pad that will hold up well and give you superior braking performance when you go to stop your vehicle. They are ultra-quiet when you apply the brakes on your car and they also will leave behind only a small amount of brake dust as they are being used. We have no problem recommending these brake pads for purchase. The packaging on these brake parts is the cleanest we have ever seen coming out of a box. That gets high marks from use here. These are also very easy to install and everything you need comes right in the kit. These pads are of high quality for sure but they are a little pricey for a non-high performance ceramic brake pad. They also seemed to be just slightly smaller than the old pads we took off, but they seemed to work fine so this was not a big issue. This is a very nicely designed set of ceramic brake pads from EBC. They will last you a long time and will outperform many other types of brake pads. 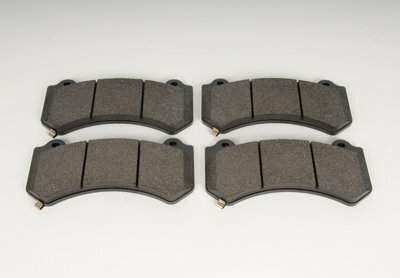 These ceramic brake pads are designed to also give off as little brake dust as possible. They work exceptionally well on fast stock street car versions and luxury European imports. They grab very nicely when you go to stop and they produce very little noise when doing so. If you take a lot of pride in keeping your car clean and that means the wheels too, then this is a very good brake pad for you. It tends to emit only small qualities of brake dust as the brakes wear down. 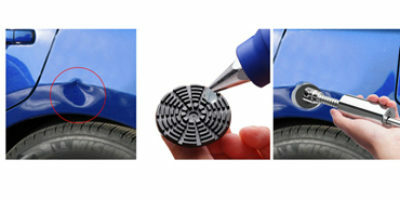 Your care will stay looking good much longer with these into tire cleanings. These pads are not without their drawbacks. To be honest they are probably best suited for installation on European imports. They will also cause the rotors to build up more heat and because of that, the rotors will wear down faster. 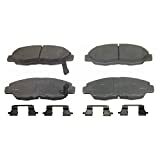 Here is another fine set of AC Delco brake pads that are great replacements for worn-out original equipment pads. 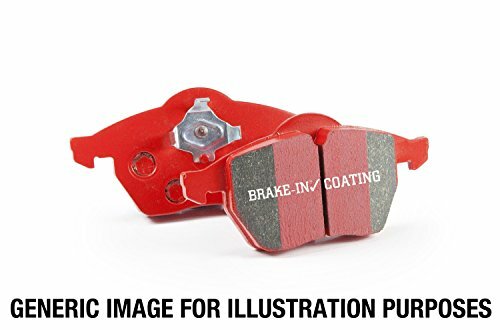 These brake pads are especially made for the rear brakes on many GM cars and trucks. They are much cheaper than the front pads by a lot. One of the nice things about this handbrake pad kit is it also comes with replacement bolts and shims. It makes for a very worry-free installation. We really like the price of these brake pads considering they are a certified OEM replacement part on all the GM-manufactured vehicles they fit. They also do not let your brake rotors build up as much heat when they are working to stop your car. There are a few things you do have to be aware of with these brake pads. If you live in an area where temperatures get extremely cold, then you can expect longer stopping distances when the weather gets very cold. These types of pads will also get a bit noisier as they wear down. These are some really nice brake pads that Akebono has come up with. They are as good as or better than any OEM pad that they will replace. They interact with your rotors very smoothly for much greater stopping power. Your European-made vehicle will love stopping more after these fine brake pads have been installed. They are pads that also come with a 90-day warranty which applies to workmanship and material defects. 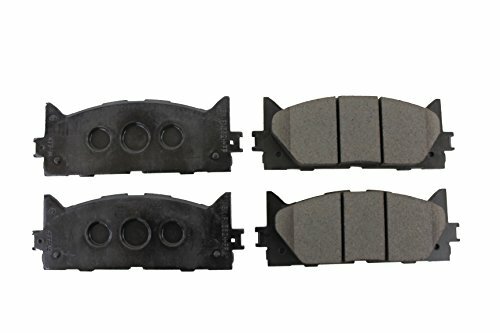 These brake pads amazed us with how quiet they are, yet they will still stop your car on a dime and leave very little unsightly brake dust on your wheels while doing their job. They are also a pad that should go a long way before needing to be replaced when used under normal driving conditions. They are made specifically for replacing the brake pads on European model cars only; it’s a shame they do not make a version for American street cars. Although these brake pads do not wear down your brake rotors as much they still generate a lot of rotor heat when used for stopping. If you are a Toyota car or truck owner we think you will be very satisfied after installing these replacement brake pads on your vehicle. You will have very good stopping power once again and should not have to replace your brake pads again for a long period of time. They are considered a factory authorized front brake replacement part for any Toyota vehicle they can be used on. These replacement pads even come with new tension springs included right in the kit. There is a lot to like about these brake pads. For one they are an OEM replacement pad on all the Toyota models that they fit. You know you are buying a quality pad when you purchase these. The price for a set of them for the front brakes on your Toyota car or truck is very reasonable too. These are semi-metallic pads so they will tend to last a little less long than some other types of brake pads. We did question a little bit when installing them if they were quite as good as the factory brake pads we took off the Toyota vehicle we installed them on. 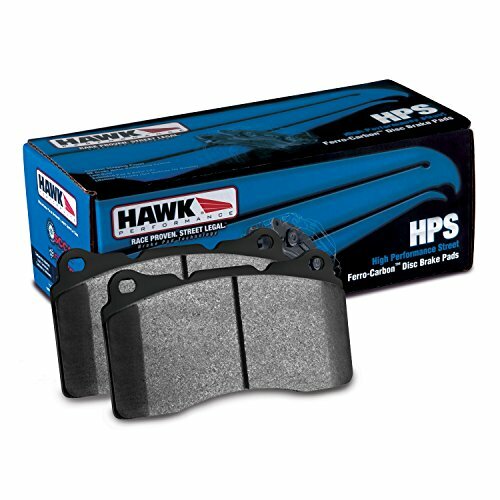 Hawk Auto Parts puts yet another very fine pair of brake pads on our list of the best ones. These are really high-quality ceramic pads that will provide you with incredible stopping with little or no noise. We loved the feel of them when going for a test drive. These are made to fit on such high-performance cars as Ford Mustangs. This kit even comes with high-quality rubber shims so you can get your installation perfect. Man, these pads are nothing short of amazing. No noise, no dust and they really stop a car in a very short distance without grabbing and throwing you forward. 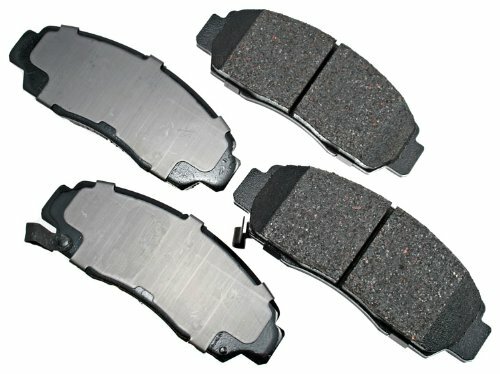 They are also very inexpensive for high-performance ceramic brake pads. These have a lot of the typical drawbacks that all ceramic brake pads have. They tend to dissipate heat quickly and that heat has to go somewhere; that somewhere is usually into the brake rotor. They do not wear rotors like other brake pads but this heat cycle still shortens a brake rotors life. 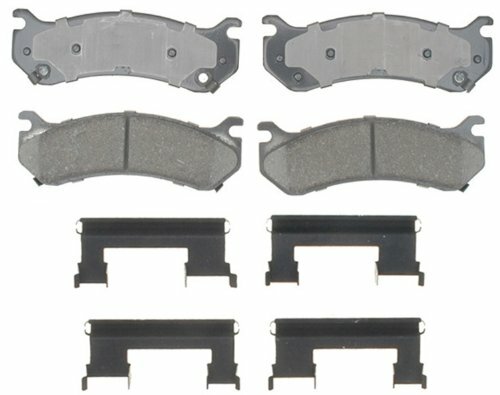 Not only are these front brake pads an OEM approved replacement part but they are also some of the best brake pads you can put on your GM made vehicle. They function flawlessly and we were really amazed how much braking had improved after they were installed. When you install these on your vehicle you will also notice the amount of brake dust on your wheels will be greatly reduced and they do not grab harshly when braking hard like some brake pads tend to do. These pads are really quiet. Even at high-speed braking under wet conditions, we could not even get a chirp out of them. That is pretty impressive, to say the least. Another great thing about them is that there was very little vibration with them when braking too. To put it simply, these are really impressive brake pads. There really was not a lot that we did not like about these. We did notice the shms on these were no longer stainless still and the pad size has now been reduced from what it previously was. Akebono has added another well-designed brake pad to our list. These pads are what you would call a high quality ceramic brake pad. They will outperform most ordinary semi-metallic brake pads and even approach the smoothness of high-performance ceramic pads when braking. That in itself is a big compliment to the quality of these brake pads. Akebono brake pads are made to be as good as OEM parts and you can buy them to fit on most European, Japanese and American domestic cars. The fit on these brake pads is really nice and everything you need such as the shims are included right in the kit. Akebono’s 75 years of brake part manufacturing really shows up with this product. There were only a few small concerns here. One was the smaller size of the brake pad itself. The other thing to note is that you have to pay close attention to the factory fit chart because it can be a little confusing because the part numbers are so close. There are few names when it comes to brake products that are as well-known as Wagner. These fine and affordable brake pads are a good quality pad that offers a lot to those that install them. These are not perfect high-end ceramic pads but they are a definite upgrade over semi-metallic brake pads. They also require little or no break-in period after installing them. This is almost unheard of price point for very good quality ceramic brake pads. They are priced more like semi-metallic brake pads but instead, you get the extra bonuses of quiet braking and low wear and tear on the rotors as you come to a stop. There were a few concerns that we had with these Wagner brake pads. For one they were not as quiet as many other ceramic brake pads that we tested. We were also worried because they seem to be a little thinner than other ceramic brake pad brands too. Buying brake pads is not as easy as picking up and purchasing the first brake pad you come across that fits your vehicle. There is really a lot to consider as far as your brake pad purchase goes. Brake pads come in all different types, price ranges, and qualities. When you are shopping if you are looking at prices make sure you are comparing apples to apples. You can often find comparable brake pads where one is significantly lower priced than the other. Price does not always indicate quality with brake pads either but in general, the higher priced pads do seem to be a little better quality. Brake pads are by no means a one size fits all type of auto part. It is of the utmost when you are ordering them that you get the exact model replacement part that fits your vehicle. There are many online guides and any auto parts salesman can help you too. There are several different types of brake pads. Here are some of them and a quick overview of their qualities. The two most common types are semi-metallic and ceramic brake pads which we will discuss more in-depth in the brake pad Q & A section. These are good quality brake pads that you can buy at an affordable price. They wear very well but the can be noisy and give off a lot of brake dust as you use them too. These are undoubtedly the best brake pads on the market these days. They stop a vehicle quickly, are quiet and produce very little brake dust. As you can expect they are the most expensive brake pads in the marketplace too. These pads do a fine job of bringing your vehicle to a stop. The bad thing about them is they become very noisy over time. They also give off a lot of brake dust as they break down quickly. These really tend to be the potpourri of brake pads and you can find all different non-metallic ingredients in them. They are inexpensive but tend to wear very quickly. Brake pads are a wear item and as such, it stands to reason that the thicker a brake pad is the longer it will take to wear down. So pay attention to the thickness between different brands because you will definitely notice a difference. You want the installation of your brake pads to go as smoothly as possible. In order to do this look for a complete kit that has everything, you need such as shims to make adjustments. There are a few things to consider here so let’s not waste any more time and let’s begin with the way the friction material is attached to the backing plate. This softer friction material ensures the actual braking of the car. Bonding with an adhesive – as these types of brakes wear down, they get reduced all the way down to the backing plate which means that your drums and discs will have a shorter life. Riveting with top strength rivets – in this case as the friction material wears down, the rivets start making contact with the discs and the drums. This leads to the well-known squeaking sound that your brakes make. This is a sure sign you need a replacement. The next thing to consider is the conditions in which you drive and the habits that you have as a driver. For instance, think about the terrain – whether it is urban or mountainous. Another thing to consider is the amount of traffic because jammed traffic leads to constant braking. Other external things that matter are the temperature of the air, the amount of moisture the car will see, and whether you pull a trailer or not. Semi-Metallic – This is an advanced technology for making braking pads. There are some softer metals mixed in the friction material of the pads. However, this will take a toll on the life of your discs. Fully Metallic – obviously these are stronger than the ones mentioned above. The metals here are harder and this leads to more reliable braking. As you might have guessed, though, your rotors will be gone rather quickly. Organic – there’s no metal here, everything is organic. The material is softer and will definitely be gentle to the discs and drums. You might not enjoy your shopping experience though. These brake pads are for unpretentious drivers. Ceramic – this is your most expensive option. Due to the material used, these pads can endure high temperatures and heavy use. They will give you the longest life and relatively reliable braking. Our pick for regular drivers is the semi-metallic brake pads as they are a middle-of-the-pack option. If you are willing to spend a little bit more, though, go for the ceramic ones. 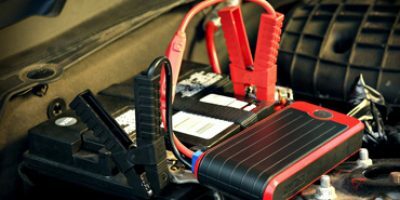 Staying on top of the condition of your car in any aspect is crucial. It is even more important when it comes to safety. You might have heard older drivers say: “I don’t care if my car can run or start, I need it to be able to stop”. That being said, checking the condition of your brake discs is absolutely imperative if you want to have a safe ride wherever you go. So here we will explain how to do it without actually removing the whole wheel. There’s no doubt that removing the wheel will give you more conclusive evidence about the condition of your brakes but very few people can and should do that at home. Obviously, you need to have an open-wheel setup. If you don’t, then you should seek the help of a mechanic. Just because we are a bunch of nice fellas, we will give you not one but two ways to check your discs. The first one features a professional tool and the second one is your old uncle Jack’s “do it yourself at home” dodgy tool. The first tool is a set of Vernier calipers. Even with it, this type of check is not going to be a 100% accurate but it will definitely give you a general idea. However, the Vernier calipers will turn out to be one of your more useful tools so spending the 30 bucks on it is not the end of the world. The digital display will give you very detailed measurements regardless of what you are measuring. In our case, we will use the prong of the tool and will slide the display in the same direction thus measuring the distance. So yes, stick the prong of the Vernier’s through your brake pad until you reach the disc. Now you want to push the tool inwards until the body of the Vernier’s touches the brake pad. Watch for it to be as straight as possible, of course. You will now see a certain value on the display of the Verniers. This is not yet accurate because we have to account for the brake pad backing plate which holds the brake. We are talking about roughly 5 millimeters here so deduct this number from the value on your display. The second way to measure the width of your brake disc is by using a straw and a marker. It works similarly to the Vernier’s but will likely be less accurate. Slide the straw through the brake pad and put a mark on the straw. Then cut the excesses part of the straw and measure what’s left of it. Again, deduct 5 millimeters and that’s it. You will find out that the results of the Vernier calipers and the straw will be somewhat similar. You want to have at least 4 millimeters before changing the brake pads. Brand new ones will typically give you about 11 millimeters. Another way to know that your discs are no longer alright is the presence of excessive rust. Additionally, if you hear squeaky sounds coming from the wheels when you hit the break, that’s also a sure sign that a replacement is in order. If your car and steering wheel shake every time you stop, then this means that the disc is probably warped. All of these are good reasons for you to replace the brake discs and pads. In general, the process here is sort of common for all relatively new vehicles. However, we strongly recommend that you refer to your own user manual before attempting to change the brake pads of your car. So, let’s begin by composing a small list of the tools and supplies that you need for this procedure. The first step is to use the tire iron on those lug nuts on your wheel. Just loosen them up a little without actually removing them completely. Next, slide the floor jack underneath the car. The safe spots from which the car should be jacked up will be outlined in your owner’s manual. If you do not check where those spots are, you risk damaging your car. How much should you lift the car up? Well, just enough to put a jack stand underneath. Again, you want to use solid points for the jack stands. The floor jack can be removed once both jack stands have been put in place. Just remove the tire and set it aside. The rotor and the brake caliper will be in front of you. You will see that there are 2 bolts on the top and bottom of the interior side of the caliper assembly. You guessed it right – unscrew them. This is where the socket wrench comes into play. Now the caliper assembly will come off the brake pads but it will still remain connected to the car. The brake pads will now be revealed. Take the brake pads off carefully trying not to damage the rotor or the disc as it is also known. Feel free to also measure the thickness of the disc and check if it needs to be replaced as well. You want to put your gloves on now because you will be using some brake grease. It is harmful to the skin and this is why you need the protective gear. Smear the back side of the pads with grease while being careful not to spread any to the front of the pads. This process will have to be repeated for both pads. Now approach the disc again. Put the brake pads in the same orientation of the old ones. If there are clips pre-installed, great, but if there aren’t any you will have to add them yourself. Since the new brake pads will be thicker, you will need to adjust the caliper assembly. The old measurement won’t do. This is achieved by inserting one of the old brake pads inside the caliper assembly. Use the brake tool and fasten it until it sits perfectly between the caliper’s clamps. Now the whole assembly should be tuned nicely and will likely fit over your new brake pads. Tighten the bolts back using the wrench and put the tire back in place. Secure the tire and it is now time to use the jack again. Lift the car a little bit so that the jack stands can be taken away. As expected, just lower the jack and enjoy your new brake pads. How exactly do brake pads work? 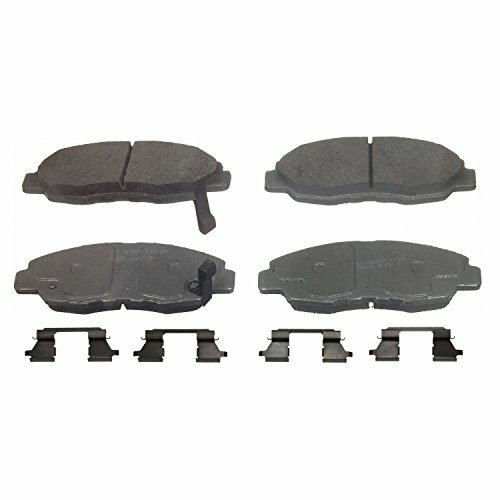 Brake pads are used in conjunction with disc braking systems. 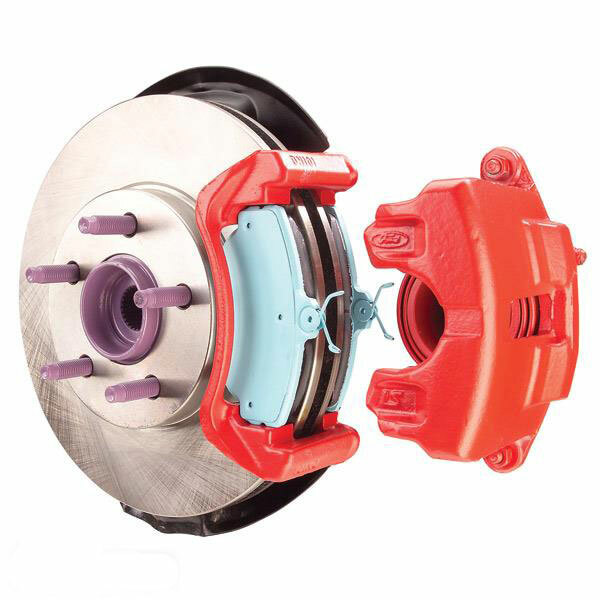 These systems consist of a brake caliper with two pads attached to it and a brake rotor. The rotor is round and flat and its edge sits in the middle of the brake caliper. A pad on each side of the caliper squeezes up against the spinning brake rotor when the brake pedal is depressed. When this squeezing action gets tight enough on the rotor the car will come to a stop. How many sets of brake pads are on a car? This is actually a little bit of a trick question here. The normal answer would be 2 sets if you have disc brakes on the front and rear of your car; a set being a pair of dual pads for the front wheels and another set being a pair of dual pads for the back wheels (most brake calipers need two pads on them in order for them to work properly). But as with everything, there are exceptions and it’s true when it comes to brake pads too. What are the major differences between semi-metallic and ceramic brake pads? These pads more often than not are the less expensive of the two major types of brake pads. They have a high metal content in their composition as the name suggests. These are the most durable brake pads but they also tend to produce the most noise when braking. They are tough on rotors and produce a large amount of brake dust when used too. Braking with ceramic brake pads tends to be smoother and sharper than braking with semi-metallic brake pads. It better be for the additional cost you will pay for these. They do not wear as well as semi-metallic brake pads but they also don’t produce as much brake dust. People often say they buy these because they are easier on the brake rotor but in truth, they build up more heat than semi-metallic brake pads which can be tough on brake rotors in its own way. You may also like: Looking for brake fluid for your car? The right brake pads can make all the difference in your stopping ability and your braking smoothness as you drive. That is why it is recommended to get the best brake pads you can buy for the money you have to spend. You can make that even better by purchasing the ceramic brake pads that will fit your car. Use the buying guide advice found here and the brake pad reviews to help you find the perfect brake pads for your vehicle.